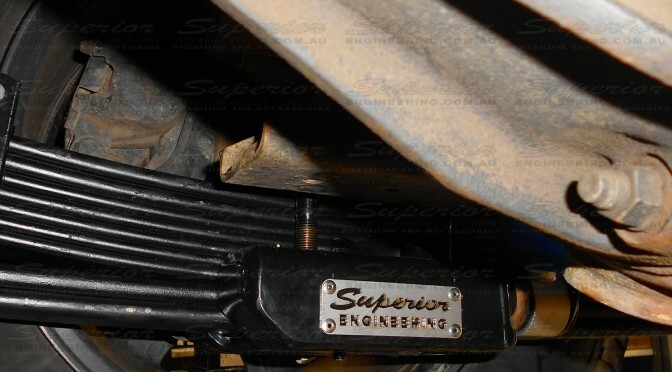 These innovative NEW, High Clearance U-Bolt Plates feature a Patented Design and are suited for the rear of the Toyota Landcruiser 60 and all 70 series as well as Nissan patrol leaf sprung four wheel drive vehicles. 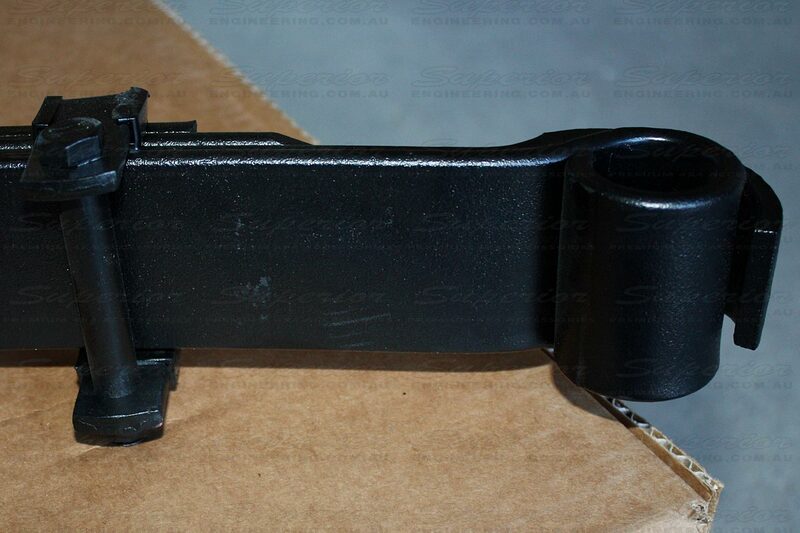 The problem with current OE u-bolt plate designs is that they’re built for a price and the pressed construction makes them so bulky. 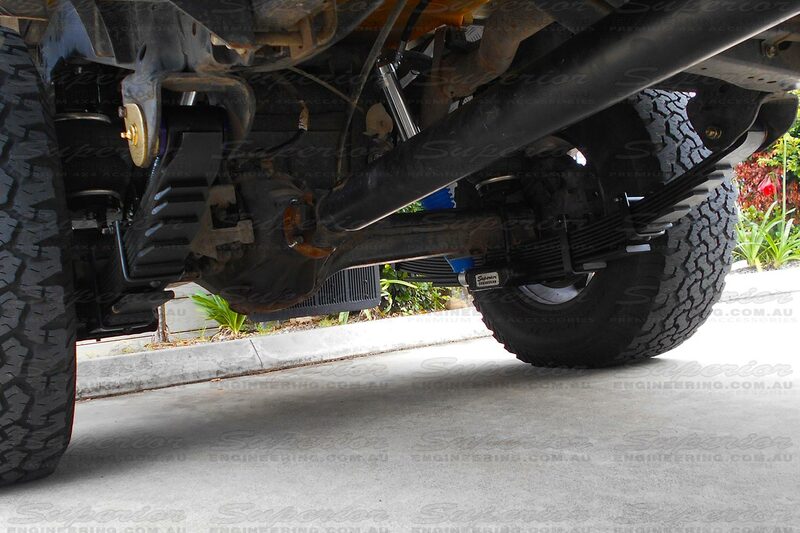 This means they rob the vehicle of ground clearance and become a snag point by always seeming to get caught up on rocks and other trail debris while off-roading. 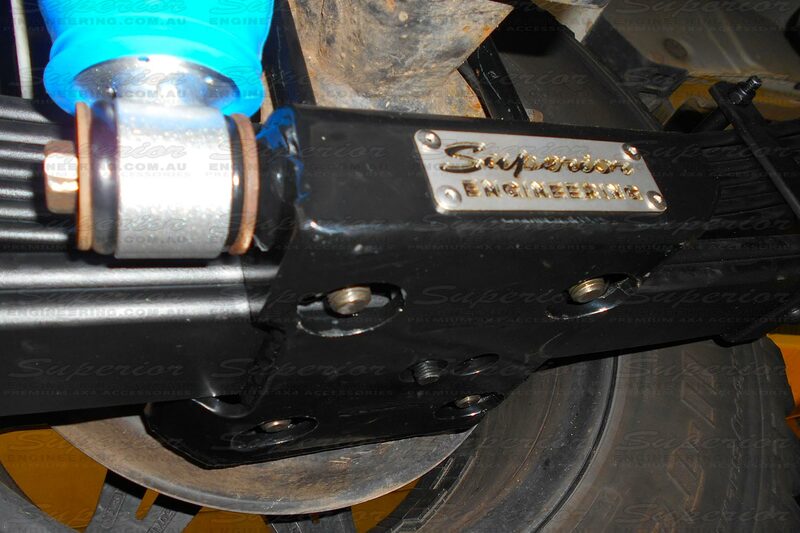 This is where Superior Engineering have really stepped away from the conventional style u-bolt plate and have designed their new plates completely from scratch. 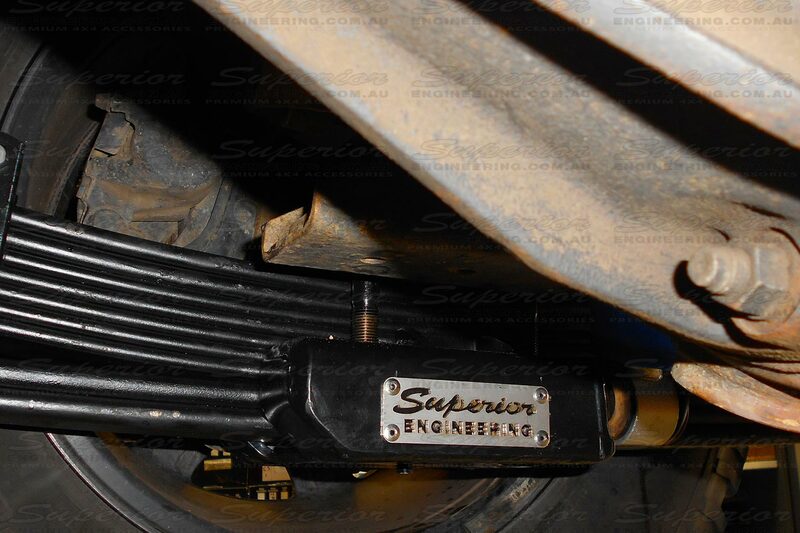 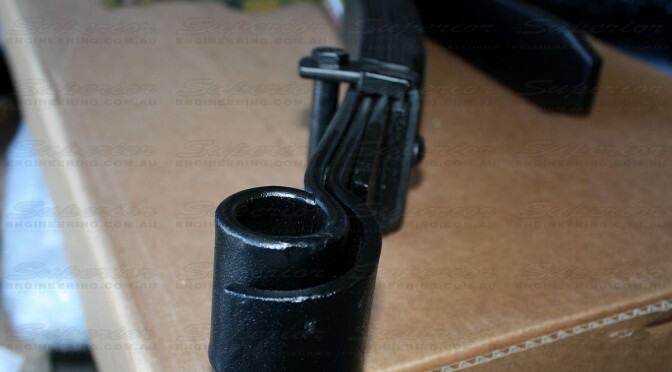 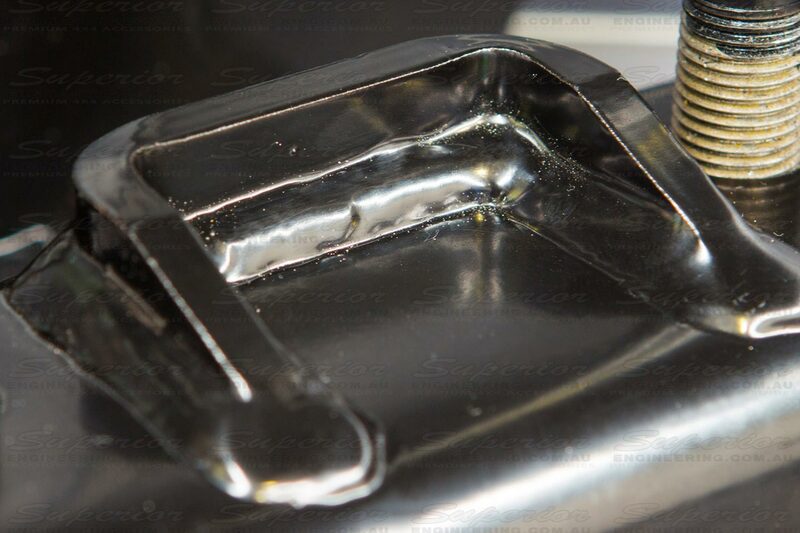 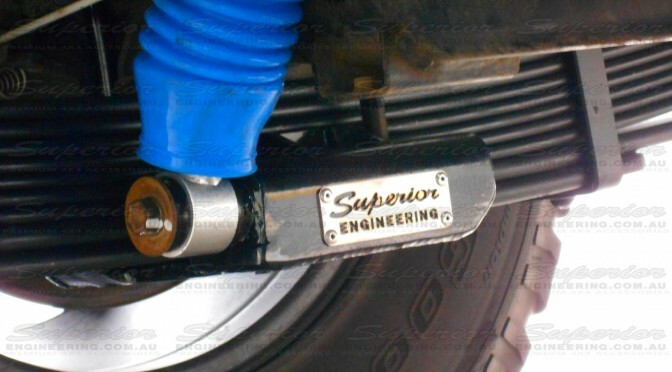 By incorporating a smooth lower plate design and a fully enclosed u-bolt nut area there is far less to catch on when offroad and the angled leading and trailing edges further help the spring to slide easily up and over obstacles. 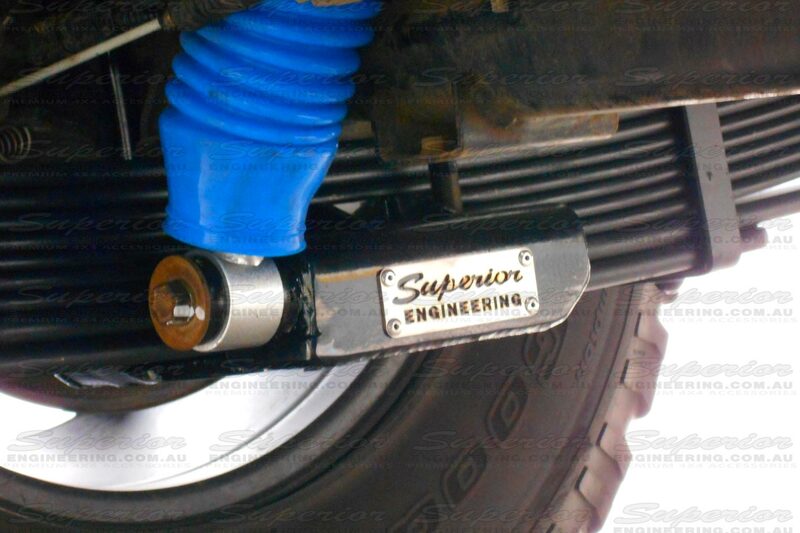 This revolutionary design will give your vehicle the added ground clearance it deserves, without the need to fit bigger tires or added lift. 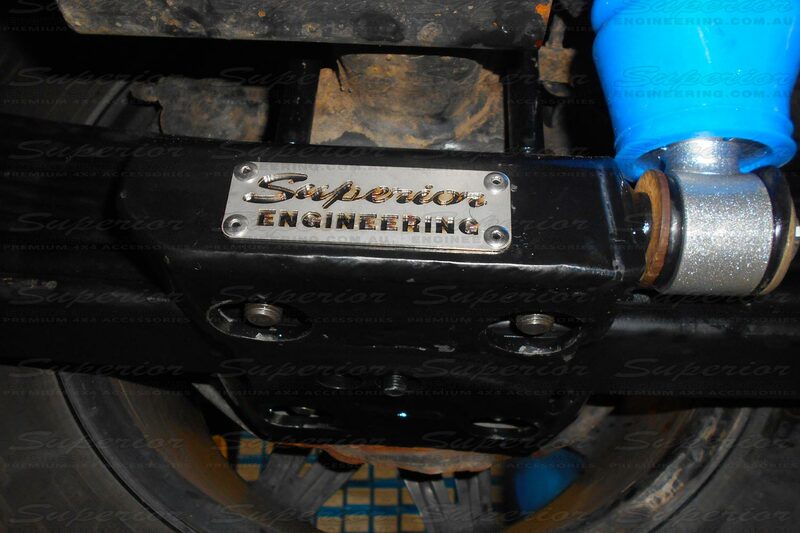 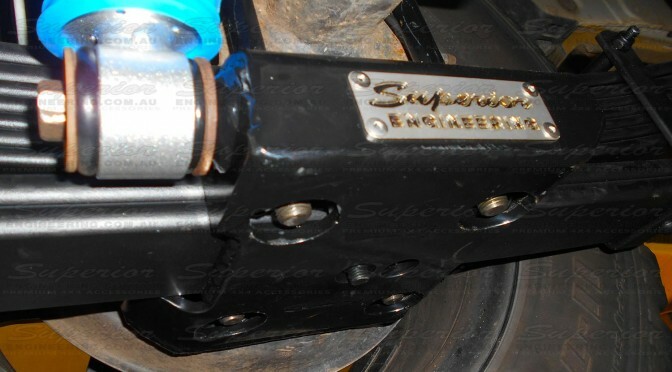 Superior Engineering has designed these heavy duty plate to replace your original bulky u-bolt plates. 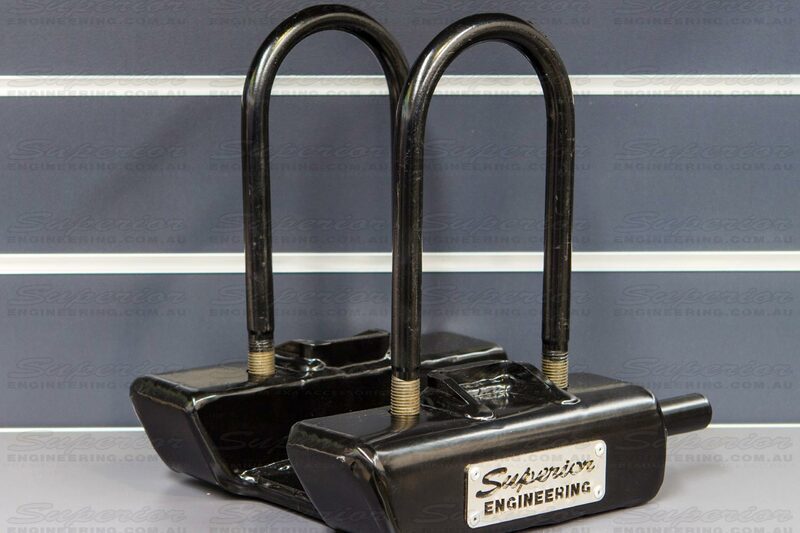 Superior u-bolt plates firmly clamp the sides of the spring pack, stopping them from spreading and ensuring the best ride available. 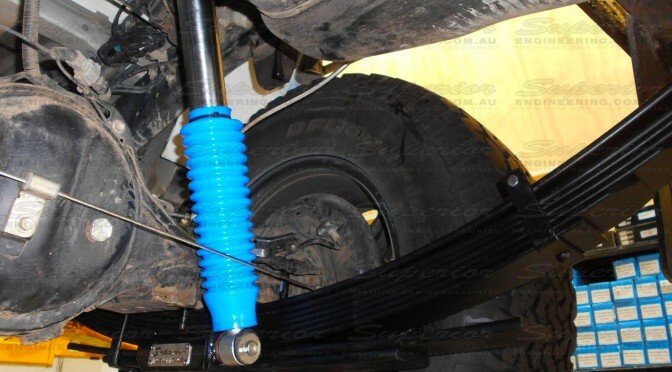 The fully enclosed design protects the u-bolts and nuts from any damage, whilst keeping them up above the base of the spring pack, maximizing the diff clearance which can add up to over 50mm more clearance than OE or other brand U bolt plates. 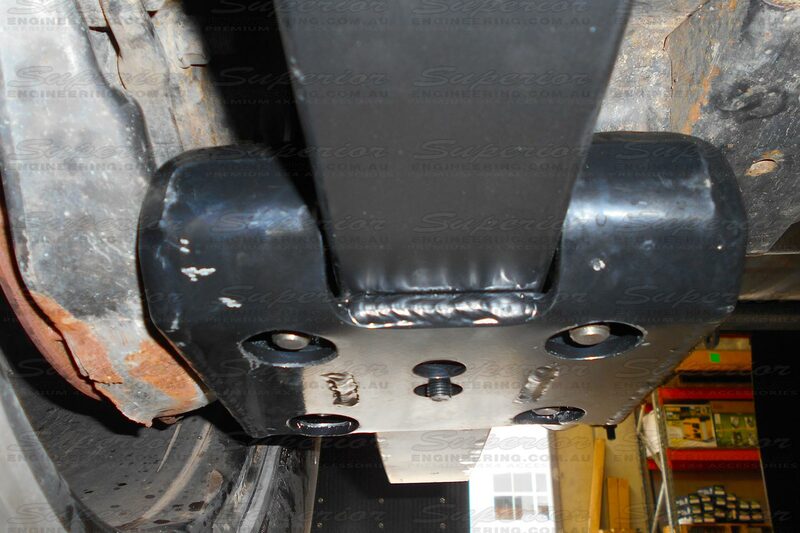 The high clearance plate raises the shock mount, allowing for better use of the available shock travel and in most cases reducing the need to buy longer travel shocks for small increases in lift. 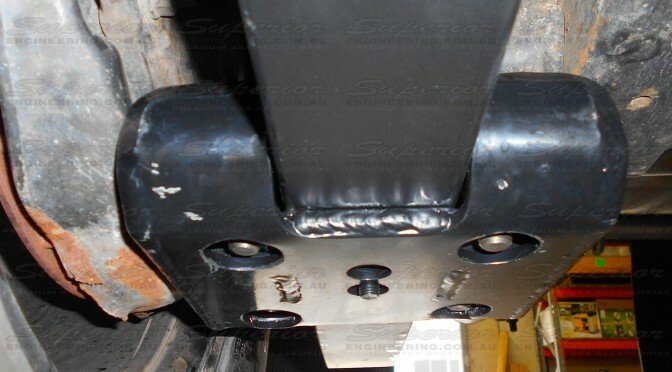 The extended u-bolt plate length and increased clamping area helps to eliminate spring wrap and aid carrying capacity by properly supporting the lower leaf springs in the pack which are often the load helpers. 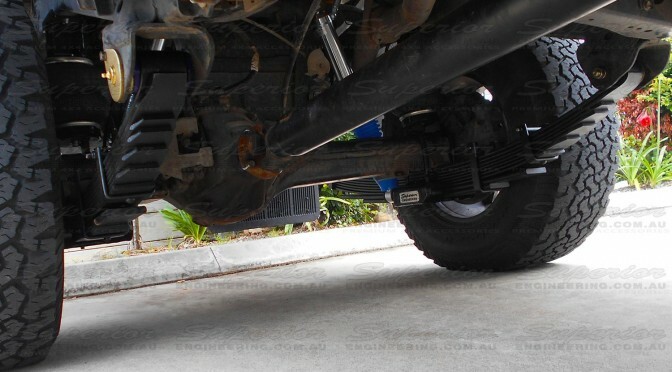 By adding angled front and rear side sections to the ubolt plates they behave more like a skid plate for your diff and spring pack offroad. 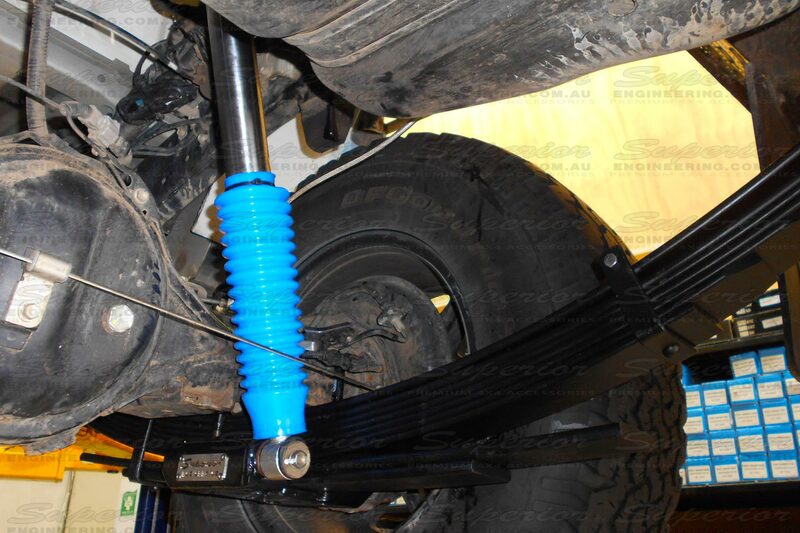 The angled edges slide easily over rocks and stumps, rather than hanging down and causing the vehicle to get stuck or wedged. 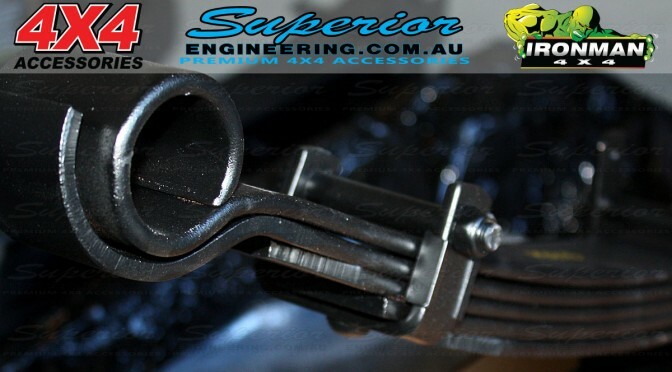 Superior Engineering, proudly manufacture these high clearance u-bolt plates to be street legal and compliant within Australia. 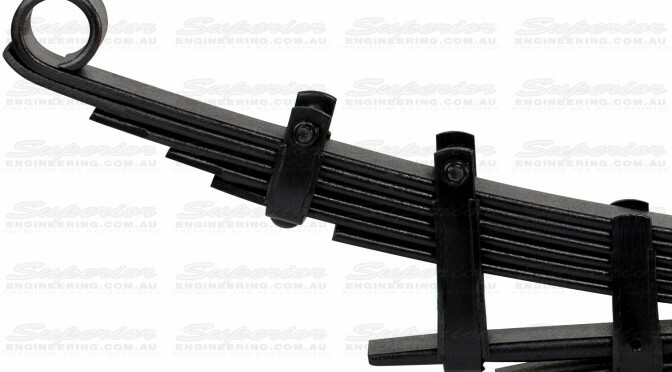 The main u-bolt plates are laser cut from 8mm plate and CNC pressed for a precise fit. 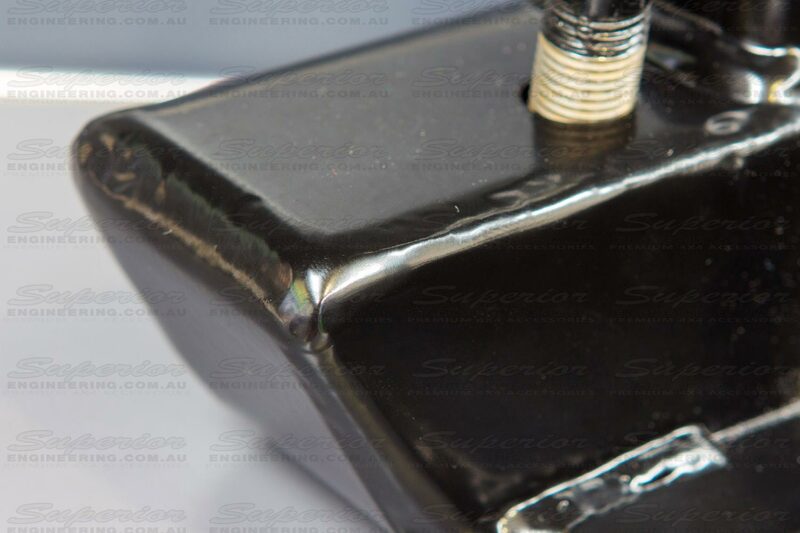 All Superior u-bolt plates are fabricated, jigged and welded by qualified and trained professionals here in Austraia. 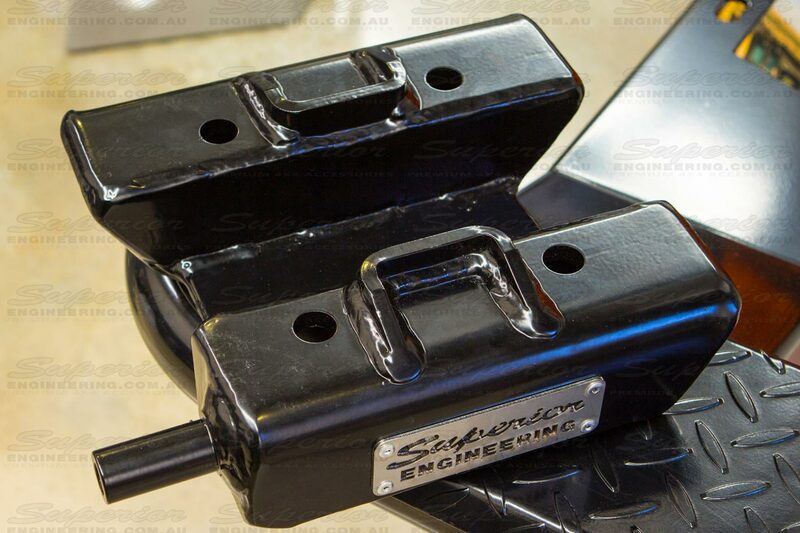 The patented High clearance design sets them apart from all others, providing the highest clearance possible of any u-bolt plates. 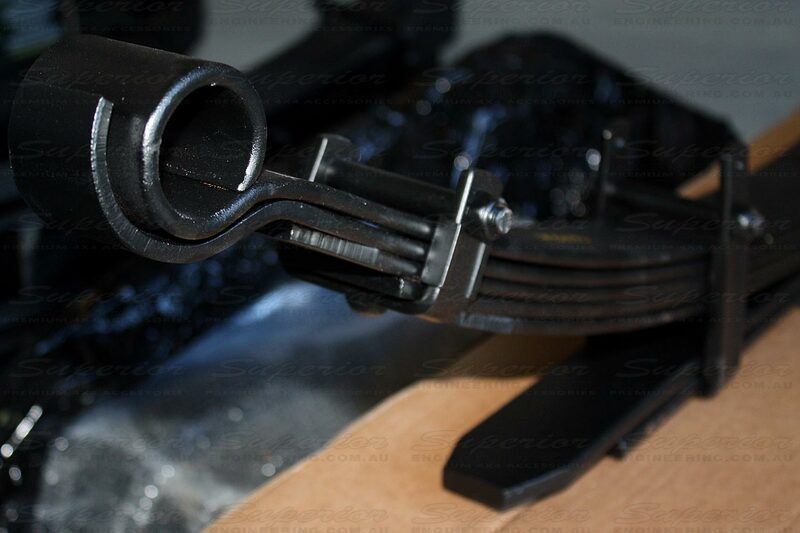 A CNC machined and fully welded, heavy duty shock mount adds to the overall strength and clearance and raises your shock up and out of harms way, whilst increasing articulation. 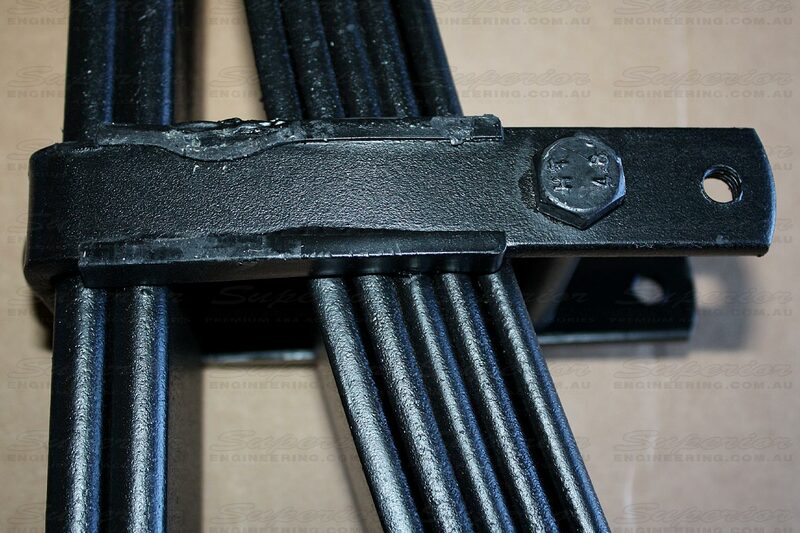 A Full fitting kit is provided, which includes all the necessary hardware and instructions for a quick, easy, no fuss installation. 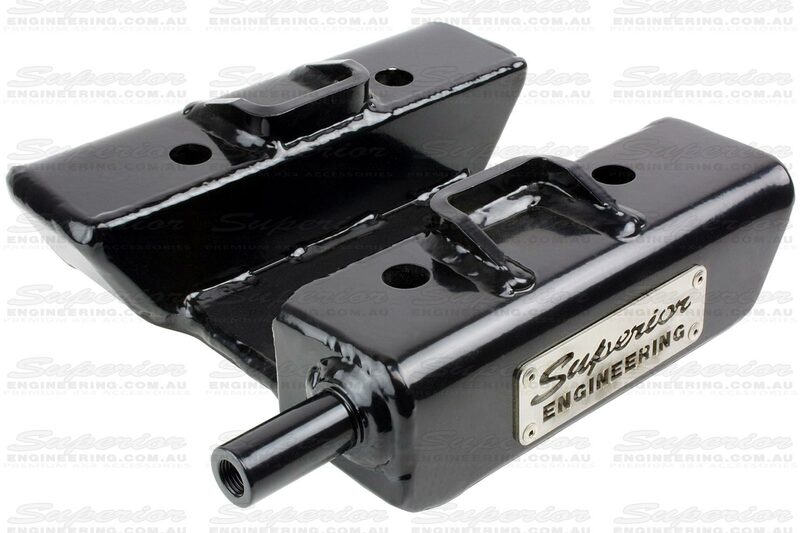 All Superior U bolt plates are proudly made right here in Australia at our Brisbane factory. 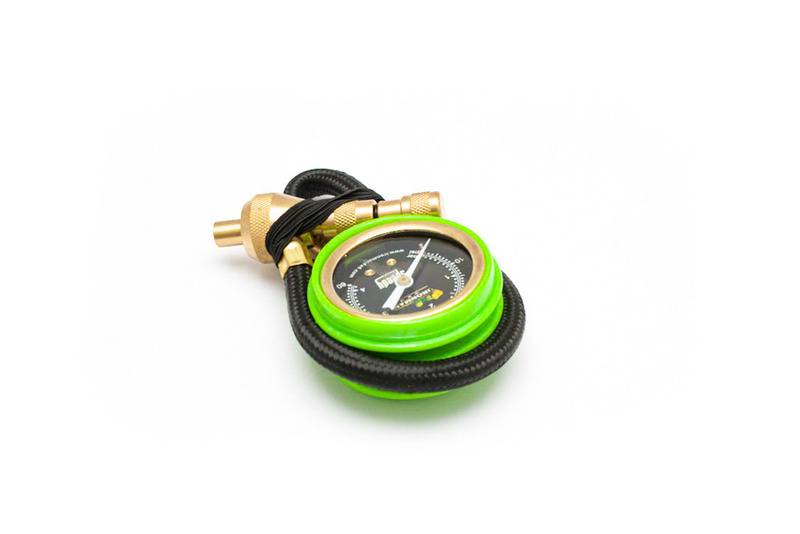 They also feature the Trust seal. 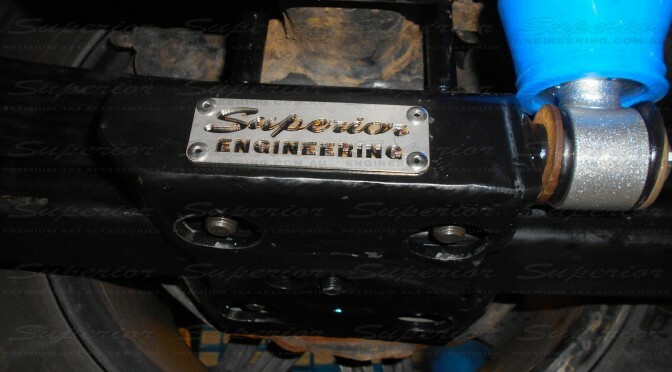 This is your 100% guarantee of a quality product with the official superior plaque riveted to the plates. 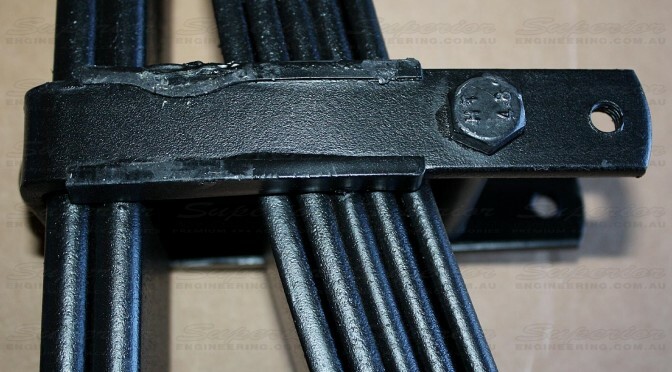 2 x heavy duty forged u-bolt plates which not only meet but exceed Australian standards. 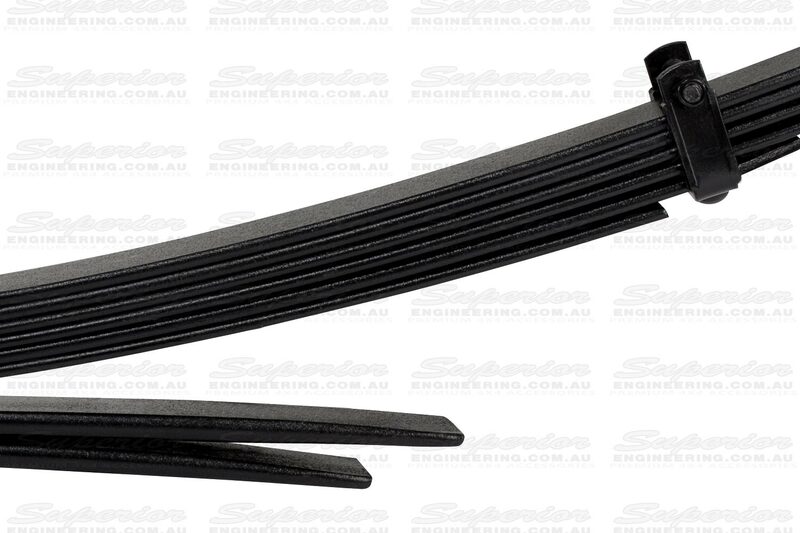 4 x high tensile round bend u-bolts with precision rolled threads. 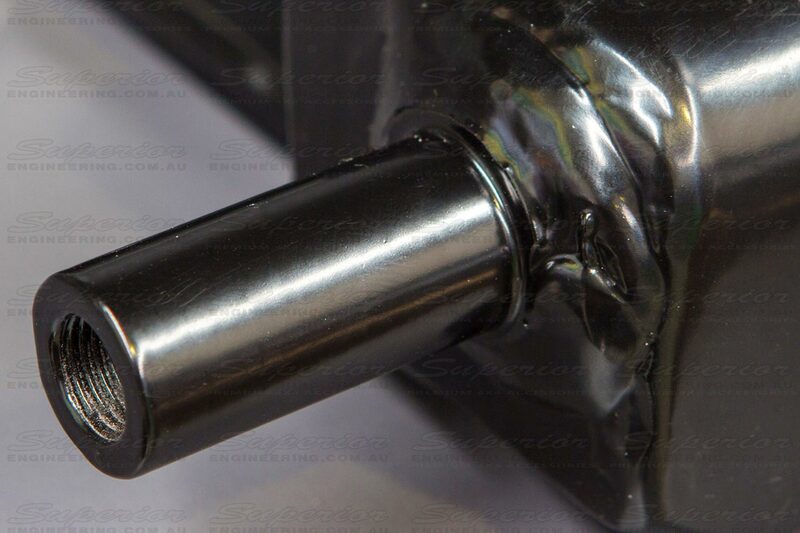 8 x hardened deep u-bolt nuts for improved thread engagement. 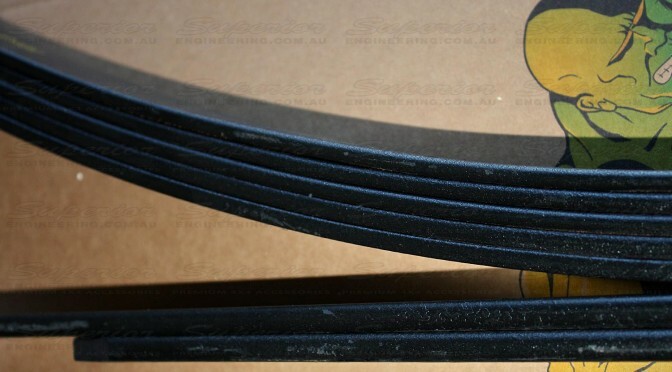 8 x extra thick heat treated washers. 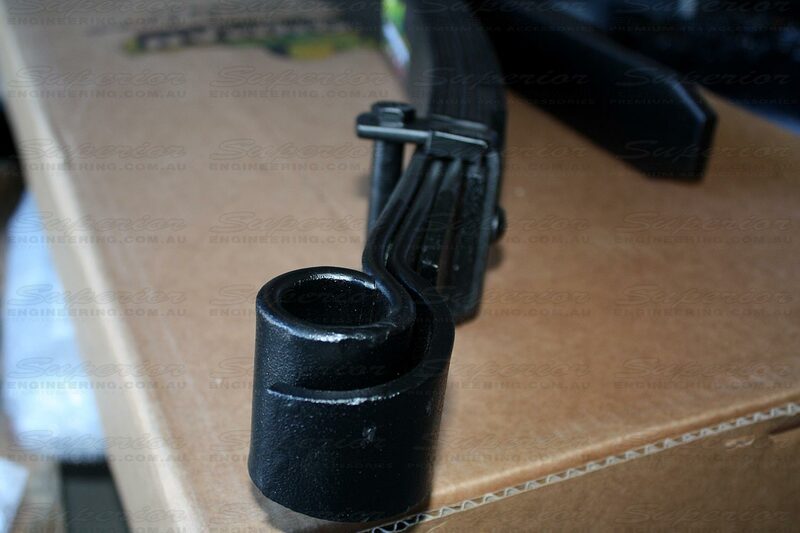 The kit also comes supplied with detailed step-by-step fitting instructions to help you in the install. 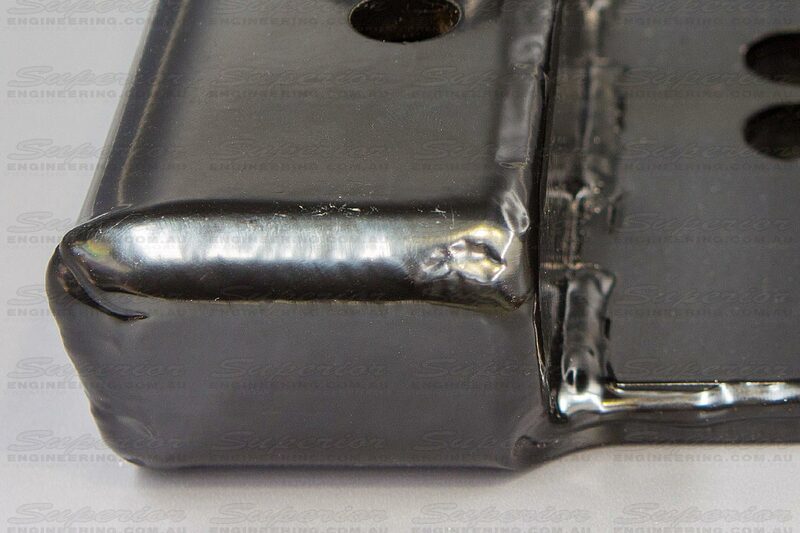 All this makes for an easy, straight forward, bolt-in installation, requiring no cutting or welding. 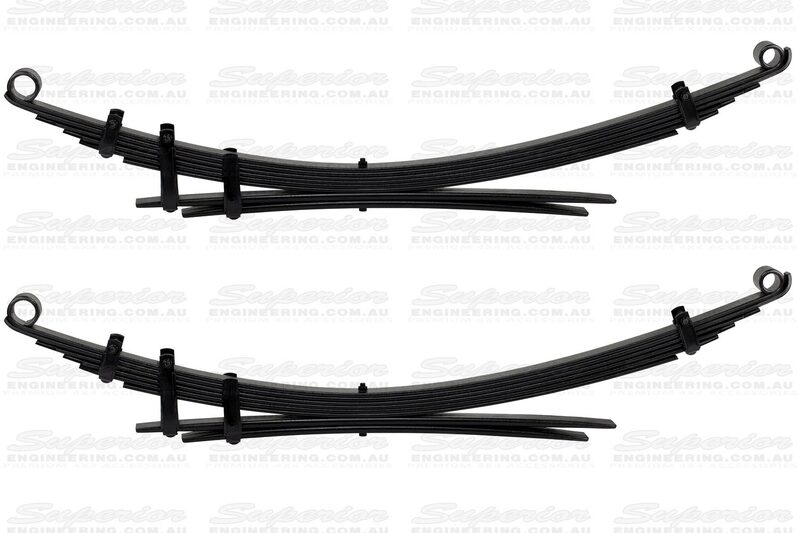 Ironman 4×4 produce a wide range of Leaf Springs to suit a range of load ratings… all designed to maintain optimum ride height. 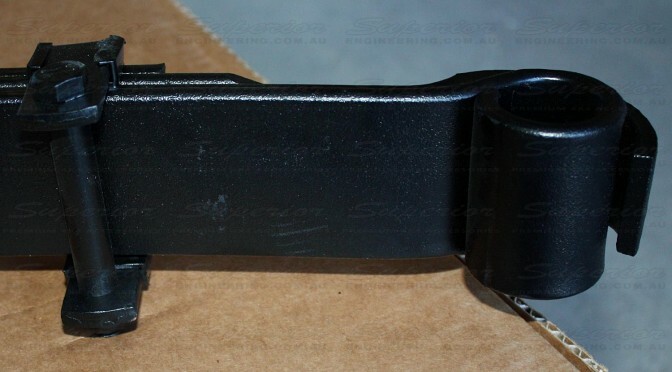 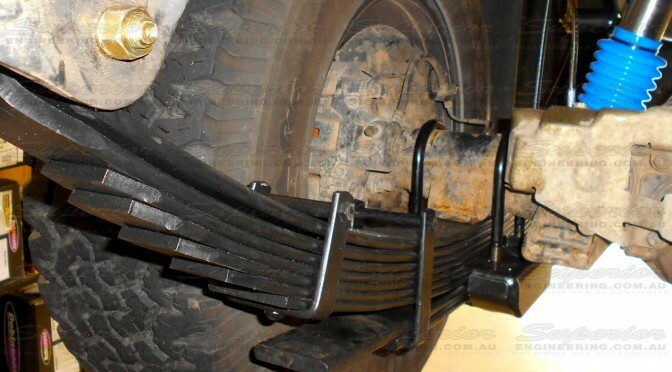 Ironman 4×4 Leaf springs are produced from high quality steel that meets Australian standard AS1447 which are shot peened and load tested to ensure maximum longevity. 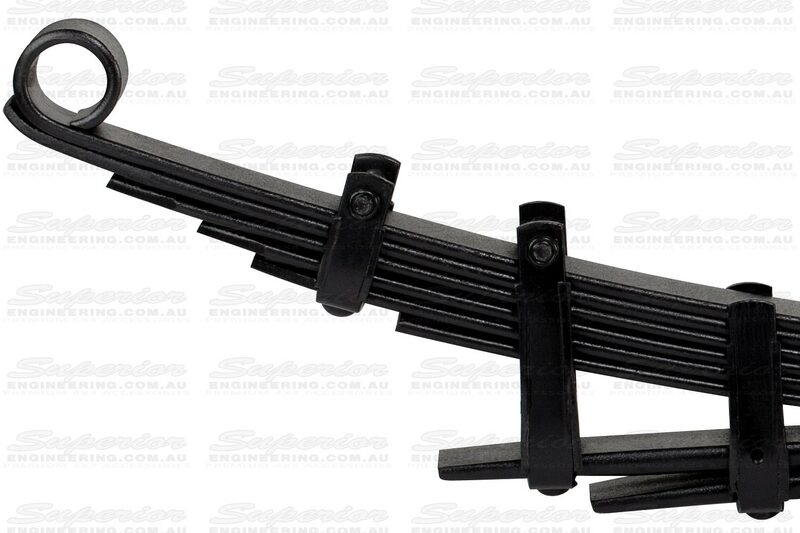 Available for different load varieties, to ensure the ride is perfectly matched to your requirements by being both strong and flexible. 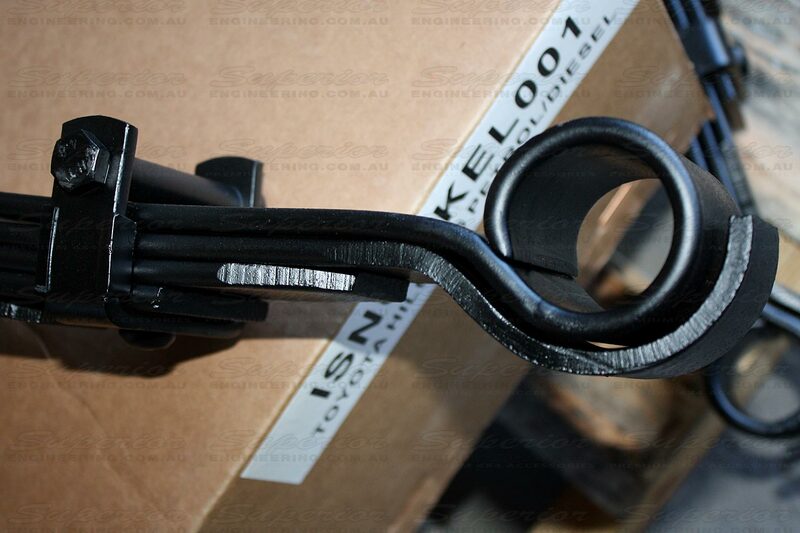 Leaf Springs produced by Ironman 4×4 undergo class leading manufacturing processes to ensure the highest possible quality. 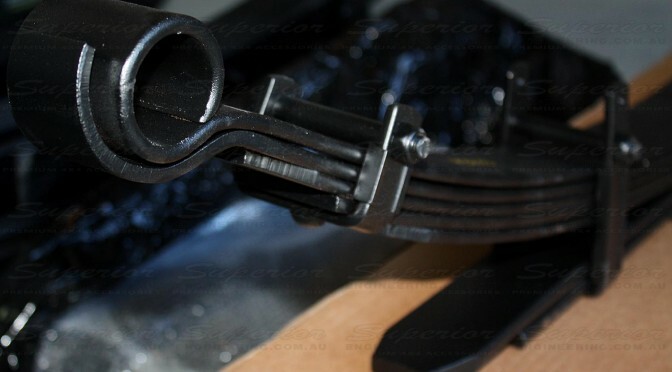 All Ironman springs feature bolted guide clamps for greater flex. 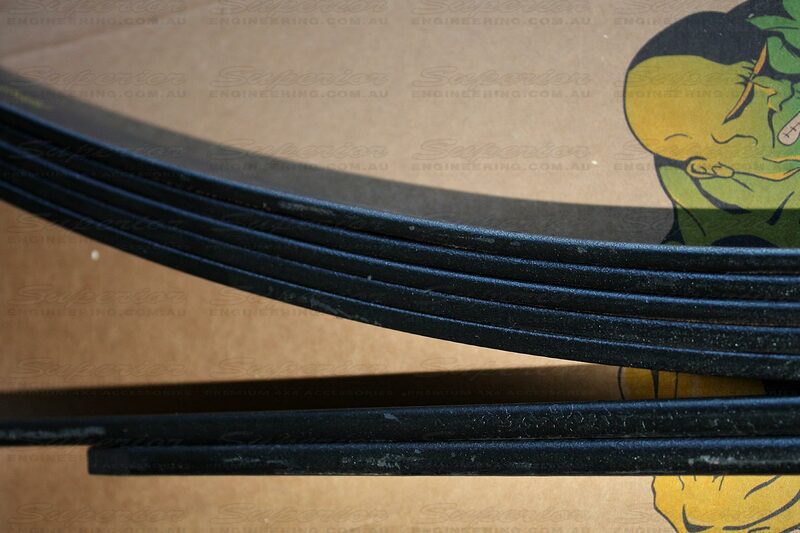 The addition of anti-friction liners ensures noise free and ultra smooth operation. 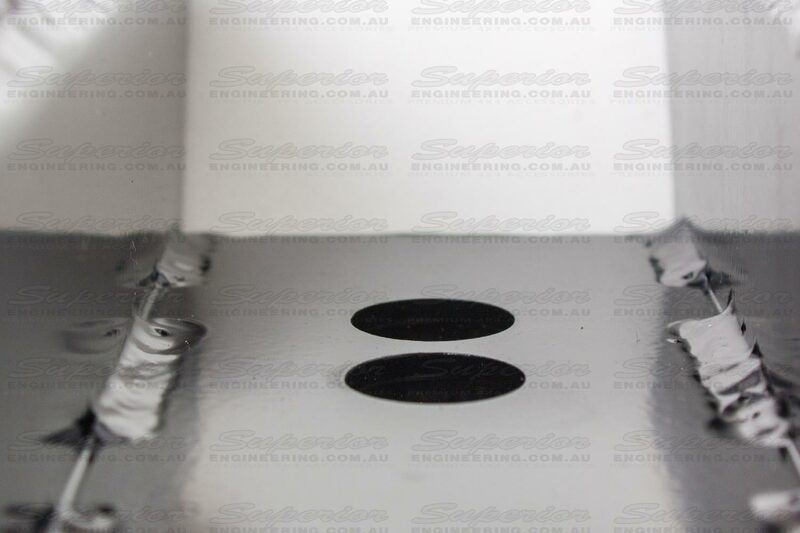 Shot peening manipulates the spring materials surface tension to reduce stress and will enhance and extend the springs life. 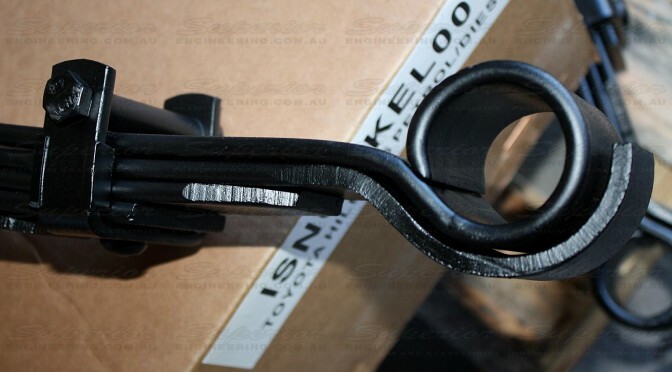 What is unique about Ironman leaf springs? 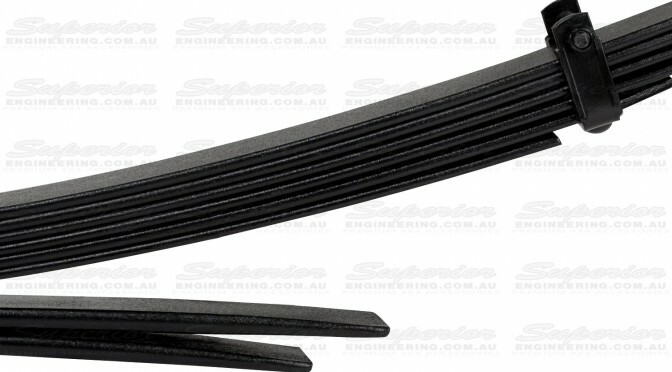 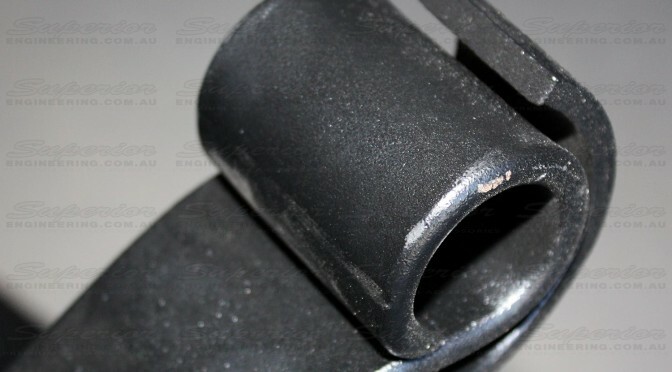 The thing that makes Ironman leaf springs unique is that they’re designed to match driving style and vehicle use. 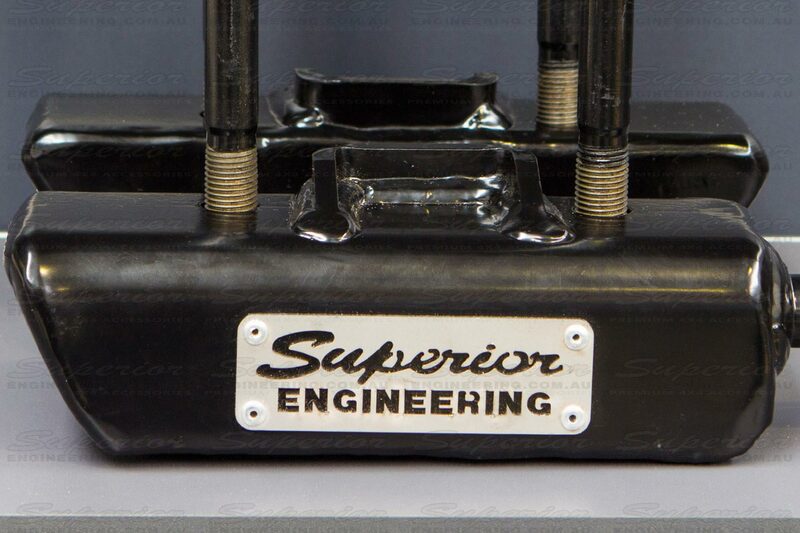 Ironman concentrates on improving ride, handling, comfort and control, while also providing lift. 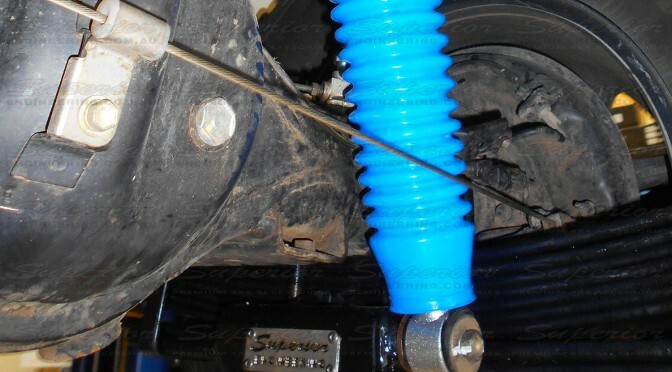 These design concerns are made without compromising safety and will make driving your vehicle a pleasure. 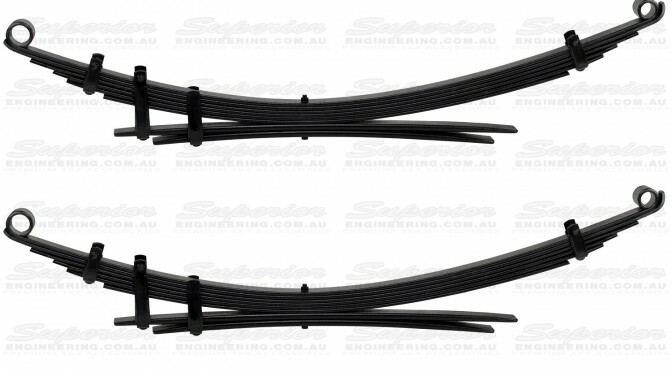 Ironman leaf springs allow you to choose the right design of springs that suits your driving style. 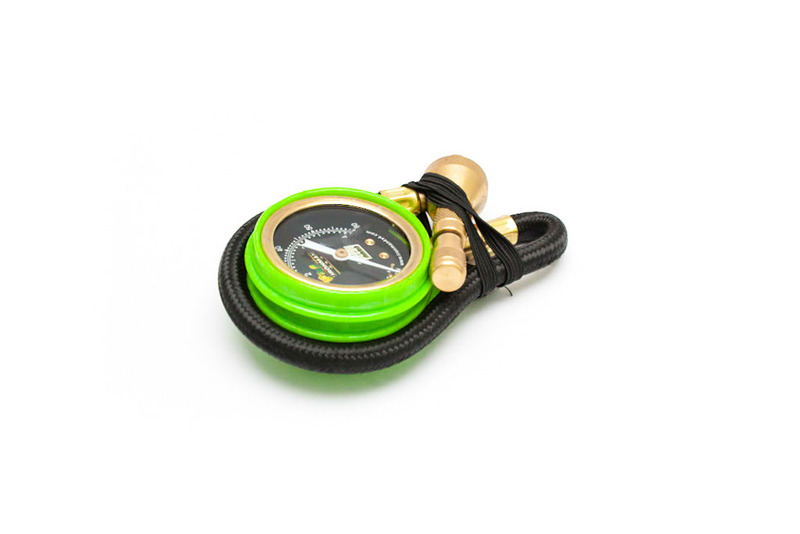 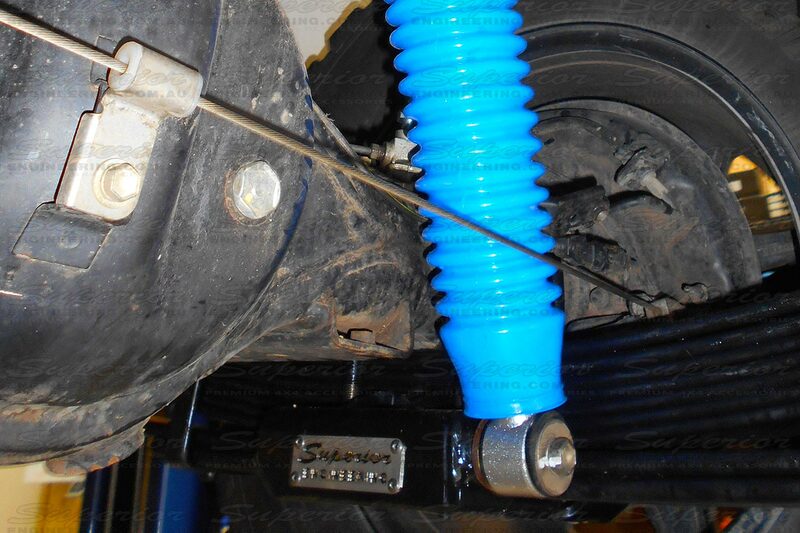 So whether you drive on road, off road or with a constant load you can find the right spring that suits your needs. 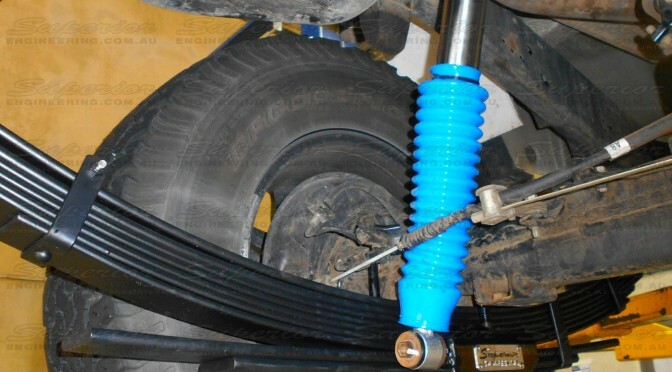 How much lift can I expect from Ironman 4×4 springs? 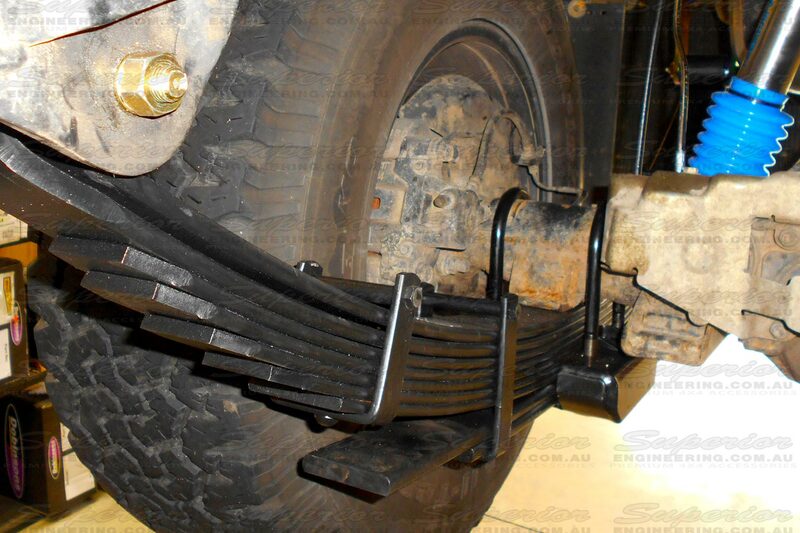 Ironman leaf springs generally lift vehicles around 50mm above the normal vehicle ride height. 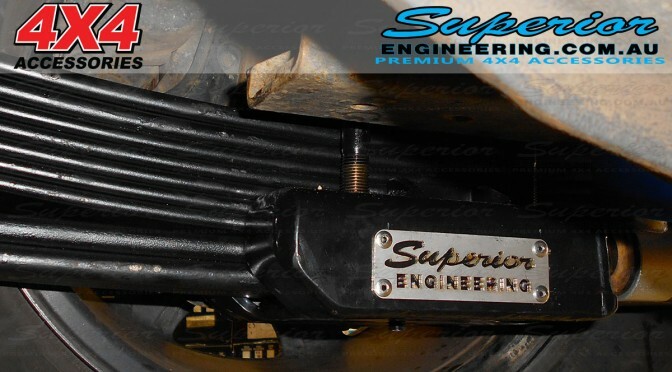 Will my vehicle ride firmer after fitting Ironman leaf springs? 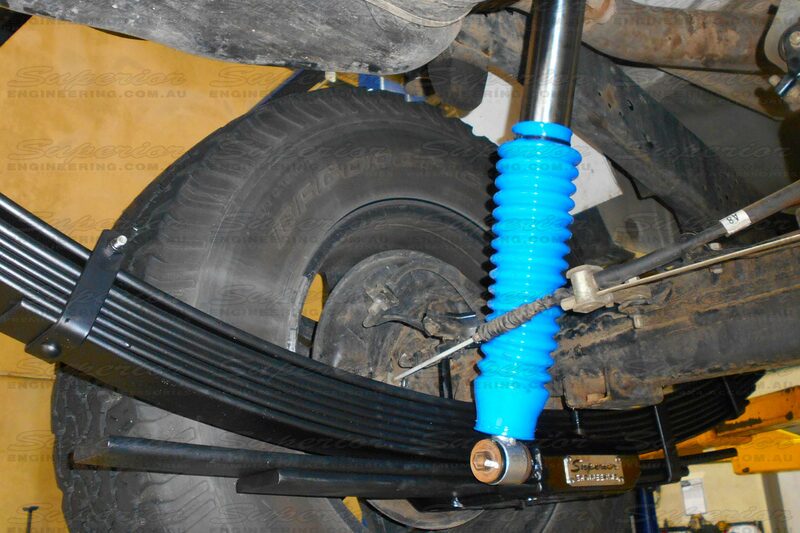 Yes it can. 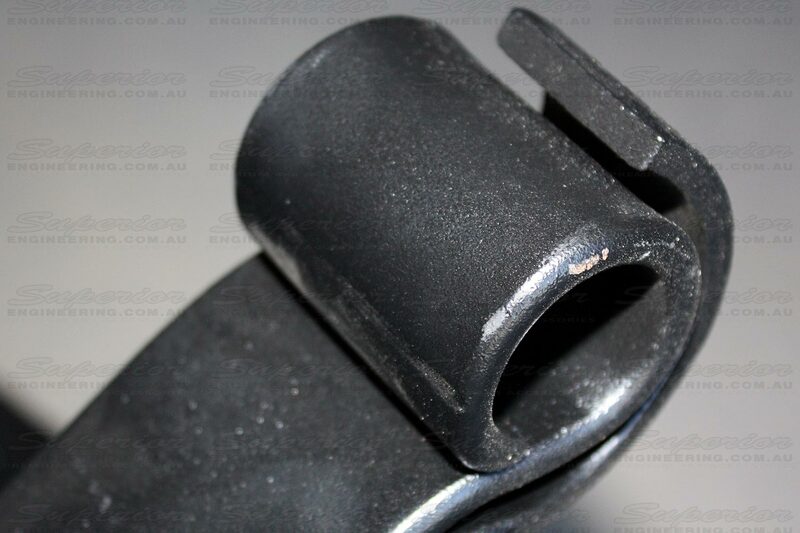 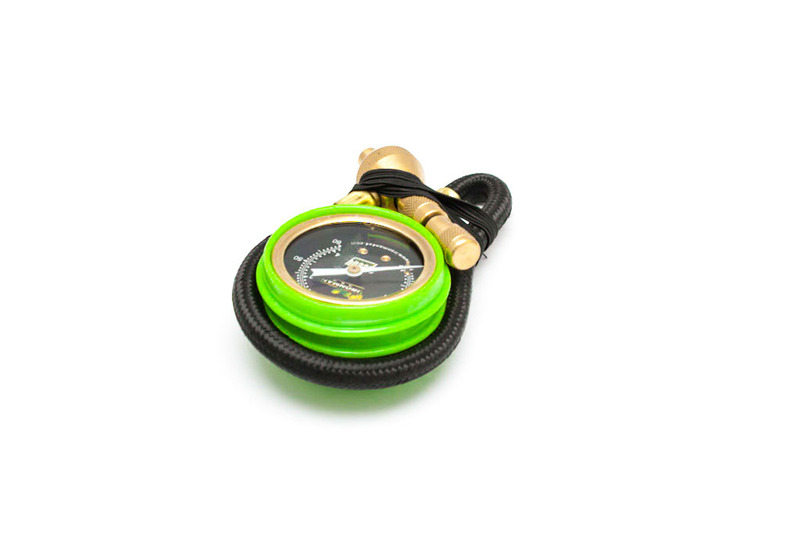 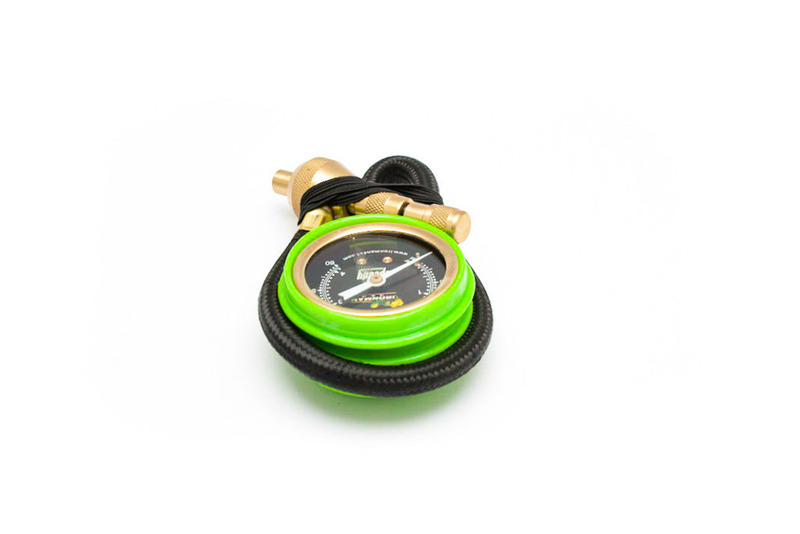 While Ironman springs will firm the ride and support the load… used in conjunction with Ironman Shocks, the ride will also become noticeably smoother.